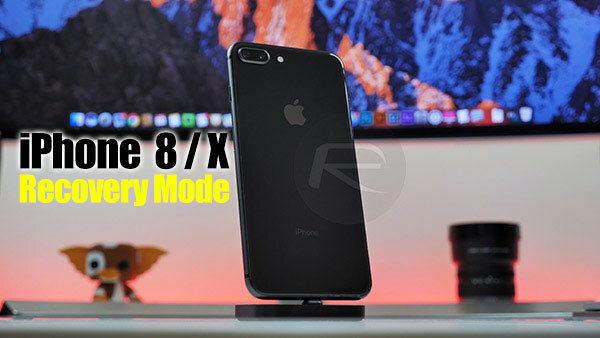 Here’s how you can easily enter Recovery mode on iPhone X or iPhone 8 when the need arises. Instructions include step by step illustrations. If you are the proud owner of an iPhone 8, 8 Plus or iPhone X and have tried to put the device into Recovery mode for one reason or another, you may have discovered that things are slightly different than when you had an earlier Apple device. Due to Apple changing configuration of devices with each generation, things need to move and be tweaked slightly. Recovery mode on these newer iPhone 8/8 Plus/X devices is one of those things that works differently now than on previous-generation iPhone models. Without further ado, let’s dive right in and take a look at the necessary steps to get one of Apple’s new devices into Recovery mode. Be sure to read through the full process and take everything on board before you try and meddle with your hardware. Step 1: To begin the process make sure the iPhone is entirely powered down and turned off. Step 2: Launch iTunes on the computer. Step 3: Make sure you have USB-A or C end of Lightning cable connected to a PC or Mac. 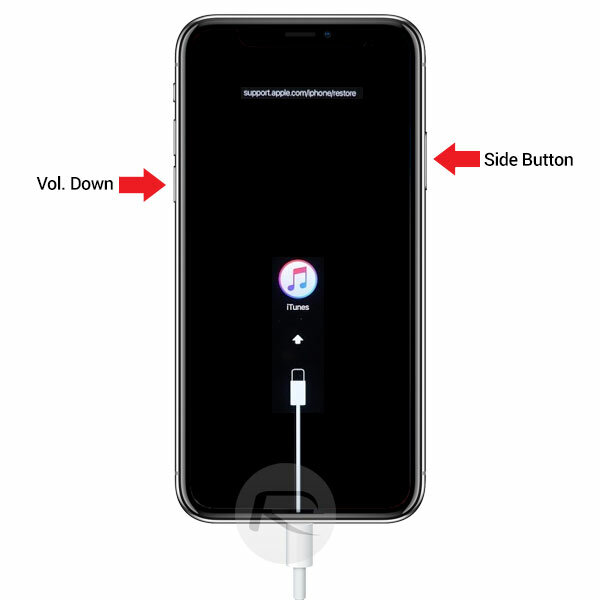 Once everything is set, start by holding the Volume Down and Side button down together at the same time whilst also plugging the Lightning cable into the switched off iPhone. Step 4: With the cable connected to the device, continue holding down both buttons until the Apple logo appears on the device. After a short period of time, the iTunes logo will then also appear on the iPhone display. Step 5: iTunes should now give you an alert on the computer display confirming that your device is now in Recovery mode. You may have also heard the term DFU mode bandied around and used interchangeably with Recovery mode. Both modes are very similar with the main differences coming down to control and maintaining power over what is and isn’t possible. In DFU mode, for example, the iBoot process isn’t invoked meaning that the loading of the operating system is bypassed. That provides the device owner with greater control over the device and opens the door for more possibilities. For a more in-depth overview you can read more on the differences here: DFU Mode Vs Recovery Mode: The Difference Explained. As is always the case, it’s good practice to educate yourself on the two modes and the processes involved to ensure that you don’t encounter any unexpected issues. Also check: DFU Mode On iPhone X / 8: Here’s How To Enter It. If you’re the “proud owner” of an iPhone X at the time this article is written you have done very well…great article.